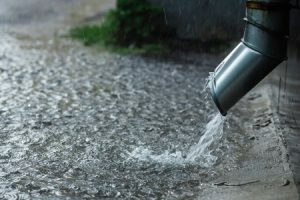 Keeping your home sealed and safe from moisture that causes mold may seem like an impossible task, especially if you live in a climate like ours in New Jersey that tends to get lots of rain in the spring and summer months. However, if you take good care of a few key points in your home, you can fortify your home’s exterior against moisture intrusions, and ultimately prevent mold growth inside your home. Let’s start with your roof. Each season, make sure to replace missing or damaged shingles, and repair any areas of rot or damage. Remove debris and leaves from the roof and gutters regularly. Any leaves that buildup in a specific area will also cause water to collect, which can lead to moisture intrusions. Make sure that your gutters are installed properly, and downspouts channel water well away from your home. Repair any damaged areas seasonally, treat leaks and rusted areas, and install splash blocks as needed to prevent runoff water from soaking your home’s foundation. When it comes to windows and doors, be generous with caulk. Clean and re-caulk cracks between siding and windows periodically to ensure a watertight seal. If you notice cracked mortar, consult an expert on the best way to fix and reseal. Inspect weather stripping for damage regularly as well, and replace if necessary. For more information on how to help keep your home moisture-free, contact us at Jun’s Mold Remediation today. And remember, if you’re dealing with mold in your home, some types of mold can be dangerous. Our expert mold consultants are available to help determine the best way to remove the mold from your home, and sanitize the area so that you and your family can breathe safely once more.